This is grand news for every wildlife enthusiast as Khao Kheow Open Zoo welcomes another member in their family. Now before we get into any further details let us share with you all that we have been receiving staggering responses from across the world because of many fascinating reasons, therefore our team would like to thank each and every one who cares about wild species. Each visit of our lovely visitors adds extra charm to Khao Kheow Open Zoo and we are grateful for each of you. We’ll finally burst this bubble of surprise and let you know that about the new addition of wildlife animals to Khao Kheow Open Zoo. Last Sunday something really special happened at Bangkok’s best Khao Kheow Open Zoo.Yes this great news for all of us. 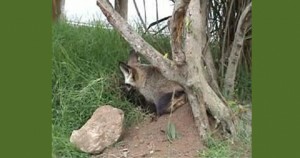 We have added new animals in Khao Kheow list include six bat-eared foxes from Africa. It looks simply incredible in the wild zoo of Khao Kheow. While expanding variety of species of foxes in Khao Kheow Open Zoo, we are also deeply thrilled to have long eared critters (two male and four female) with us. These amazing species roughly way 5 kilos and they belong to tropical grassland savannah majorly In Central Africa. So come visit Thailand’s most loved Khao Kheow Open Zoo and experience magical wildlife with animals from across the world.